Need water but can't locate a good source? In certain areas (rarely in GA, but it happens) you might be a good ways away from a creek or stream, or it might be a time of drought and sources may be dried up. If that's your situation, consider the grapevine. Muscadines and fox grapes, specifically. Vines have a powerhouse of a vascular system, as their stem may only be an inch or two in diameter but has to pump water and nutrients a hundred feet or more into the treetops. Cut one in two (especially in spring) and you'll see for yourself. 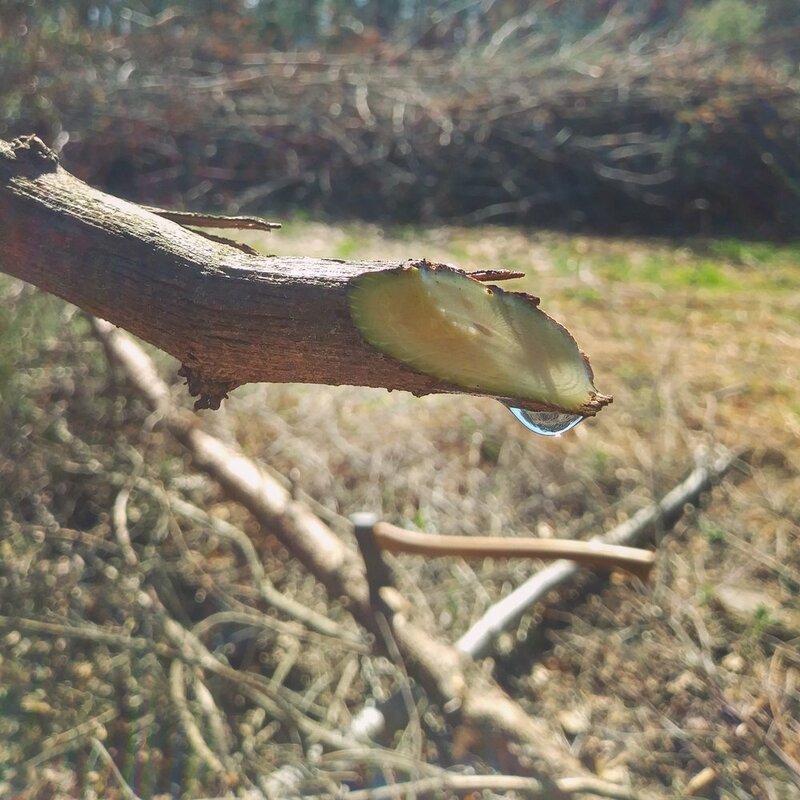 This muscadine vine pictured was dripping almost fast enough to be a steady flow. It would fill a canteen or quart Nalgene in minutes. The harvested water is packed with nutrients and even has a mild, pleasant flavor. If you do this, be a camel. Fill and drink your bottle down as many times as you can handle, and fill every spare container you have. After 20-30 minutes, the vine figures out that it’s been cut and stops flowing, so you won’t be able to come back to it later. Always get a positive ID on the vine – you can use any type of grape, and kudzu works well, too. Steer clear of anything with a hairy stem (like poison ivy or climbing hydrangea), and wisteria will kill you. Also, don't do this unless you need to, since you're killing all growth above where you cut. It can take years for a muscadine to grow back to where it was before. This also doesn't work if the vine is dormant, it has to be active and vascular. Spring is peak, but this technique will work to some degree all summer. Hydrate from traditional water sources if you can, but this works great in a pinch. (Don't) stay thirsty, my friends.